The 2012 Infiniti G37 6MT Review: To most people, driving a luxury vehicle is all about letting the car do the work. Luxury cars come with features that make drivers feel pampered by saving them a little bit of effort, things like automatic climate control, automatic windshield wipers and automatic headlights that turn on at sunset. An automatic transmission seems like a logical choice for a luxury car, too. Indeed, as soon as they were invented, gearboxes that could shift by themselves were installed in luxury cars to save drivers the inconvenience of having to mash a clutch pedal and move a stick to shift gears. Wafting down the road in smooth serenity is what automatics are about. Infiniti, though, makes a luxury car that comes with something almost unheard of: a stick shift. This unusual car is called the G37 6MT, which stands for six-speed manual transmission, and it turns the concept of Grandma's luxury car on its head. The G37 has all the normal luxury-car trappings, from leather seats to a gizmo-filled dashboard covered from top to bottom in little buttons that control all its electronic wizardry. In its ordinary version, it's simply a sporty luxury car. With the 6MT model, though, you're getting a full-blown sports sedan instead. The G37 6MT is built in the image of BMW with rear-wheel drive, a firm suspension, outstanding brakes, balanced steering, and the most nimble driving feel that engineers could whip up. It's all helped by that manual transmission, the device that makes driving enthusiasts everywhere drool. It provides a direct connection to the 3.7-liter V6 that makes 328 horsepower, and it feels fantastic in the process, with a short throw and tight pattern that makes this $41,000 car seems like a child's toy. It's the kind of car you want to drive around while buzzing engine noises through your lips. The manual version of the G37 will appeal to a passionate, albeit very small, group of enthusiast drivers. Most drivers would be better served with the seven-speed automatic transmission that comes standard on all the other G models, including the G25 sedan with a smaller, less powerful engine for $32,600. The mere fact that Infiniti is offering the 6MT says a lot. Most car companies don't offer manual transmissions in their luxury models, even the sporty ones, because they sell in such low volume. It's hardly worth the investment to sell it. But in this case, Infiniti wants the world to know the G is a purist's sports sedan. There's no clearer way of communicating that message than through a clutch pedal and a shifter knob. What was tested? 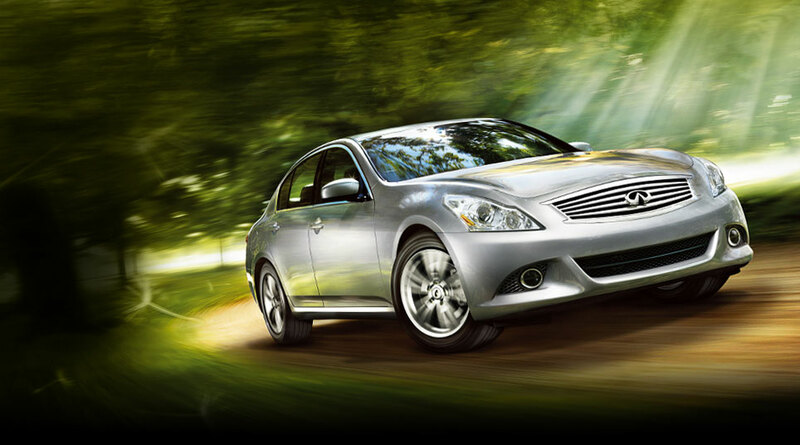 The 2012 Infiniti G37 6MT with a base price of $41,000. Options on the test car: None. The total MSRP price as tested came to: $41,000. Why avoid it? Most people are happier with an automatic transmission.